So I just purchased a 2009 A4 Cabriolet with Bose audio and a Symphony radio. The sound on my new ... err, used, car is pretty nice, but it's been a long time since I've had to manage a 6-disc CD changer. It also came with an iPod cable that I thought was installed as an aftermarket accessory, but I was later told was dealer installed. The car has phone Bluetooth (HFP) but no music. I can install the "Mono Bluetooth Router" https://play.google.com/store/apps/d...obluetoothfree to get music to play though this, but the sound is low quality, soft, and only on the front speakers. I tried an ipod or two. When it worked, the ipod would show an Audi logo and charge and play music. The song information would display on the mead unit (radio display) and dashboard. However, the radio would completely control the device - buttons on the ipod did nothing. iPod Touch with the new lightening plugs didn't seem to charge, but maybe my adapter was busted. I could use the device, but not control the music except through the radio. The same song would always play whenever I turned the car on. I looked at some other options like the Xtrons head units which seem designed to fit the styling of the original head unit. But after watching some reviews, it appears that the interfaces are too slow and the buttons feel cheap and plastic. Too bad.
) Most of the time spent was threading the AUX cable into the glove box. I didn't install the microphone since I already have hands-free Bluetooth. When connecting to the car, my phone connects to the head unit for car audio AND the Grom for phone audio. I had to disable hands-free audio on the phone for the Grom connection. To get the Bluetooth audio, I simply press the CD button twice. The display is weird; it says CD 7 track 1. The steering wheel controls work. I wish it would display song information on the display, but it's not a major loss. The sound is great and LOUD. I highly recommend this for people in a similar situation. Or does anyone else know of something better? TL;DR: I bought an "AUDI 98-10 Bluetooth Hands Free Car Adapter Kit( SKU: AUDB3 )" which quickly added Bluetooth and AUX audio via the port intended to add a second CD changer. Now I can listen to audio from my Android phone! Did you ever hear about other options? I'm getting ready to purchase and add the Grom adapter for my '09 A4 cab per your suggestion. 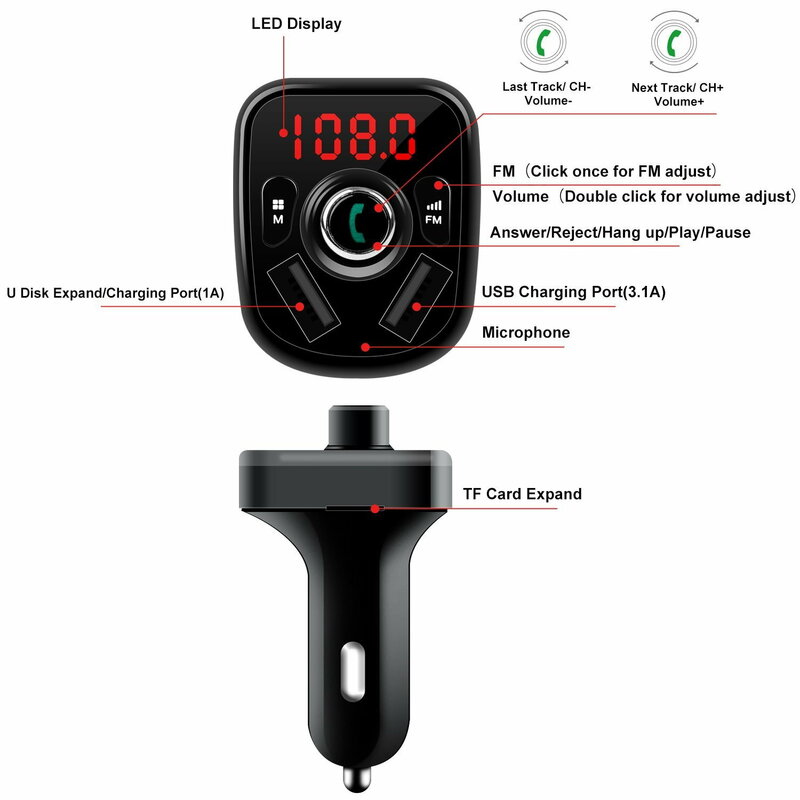 Finally, I found the Grom Audio bluetooth adapter, (GROM-BT3, SKU: AUDB3) which claims to add Bluetooth audio to a variety of stock head units -- including mine. I bought it, including the radio keys and the AUX adapter. It took me ~15 minutes to install including watching the instructions on youtube. ( 2007 Audi S4 GROM Bluetooth Car Kit Installation, Car Stereo Removal Guide - YouTube ) Most of the time spent was threading the AUX cable into the glove box. Hi HarryHood, I'm still very pleased with the GROM unit. I didn't mention it in the original review, but I tried the tune2air adapter which connects to the 30-pin iPod adapter and supplies a bluetooth connection. It didn't work on the '09 A4 cab. Playing around with the device and talking to some sound guys, it appears that the 30-pin connections originally sent 12V and were later changed to 5V. We measured the voltage on the cable at 12V, so it may not work. I later sold the device to an Audi SUV owner with a slightly more recent model and it worked perfectly for them. The best thing is I can use Siri to play any song by voice commands. I modified the cable to use USB drive for music also. I can play music without any hassle with tune2air bluetooth adapter. It works great with iPhones and Androids. Thanks to Viseeo USA! I just received my "Wyness" blutooth adapter that I ordered from Amazon and will be installing this weekend when the radio keys arrive. I am not very happy with the sound in my 2006 Cabriolet with non-bose system. Plan on ordering new components for front doors (6.5"), dash/center (3.5" or 4"), and 6.5" coaxials for rear panels. Love the car overall and after owning two Audi A6's in the past(98 Avant and 02 2.7T 6M) its great to back! Do you have the Track Pack on your P3? If so, did you record IATs before and after the HX upgrade? Or perhaps logged before and after via VCSD? Last edited by RoMan709; 03-28-2018 at 05:15 PM.